Willoughby Community Men's Shed Inc. 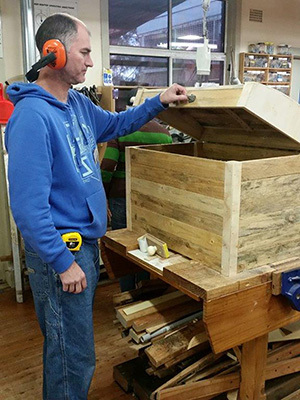 The Willoughby Community Men's Shed Inc. is a fully equipped wood and metal workshop which provides a venue for men of all ages to work together on personal and group projects. The Shed has a wide range of fixed and portable machine tools as well as a vast range of modern and traditional hand tools. WHEN WAS THE SHED ESTABLISHED? The Men's Shed was set up in 2007 as an initiative of Willoughby City Council and UnitingCare Aging Northern Sydney Region and was initially funded by a grant from the Federal Department of Veterans Affairs, contributions from Willoughby City Council and UnitingCare Aging and input from Chatswood and Northbridge Rotary Clubs. The Men's Shed is now almost completely self-sufficient, funding itself by taking on paid projects for various organisations and applying for grants from local support groups and State and Federal Governments. 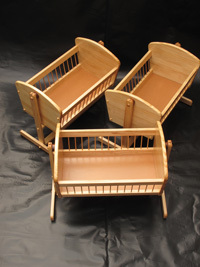 The Men's Shed is an Incorpoprated Association under the NSW Associations Incorporations Act 1990. 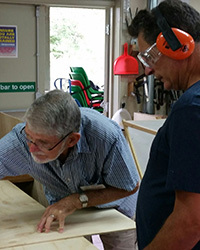 The Men's Shed is located at 296E Sailors Bay Road, Northbridge, next to Northbridge Golf Club. The building used by the Men's Shed was converted from a disused RSL Sub-Branch hall. WHO IS INVOLVED IN THE SHED? 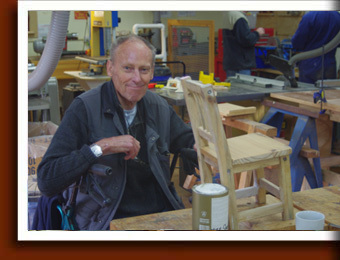 The Men's Shed has around 150 members, while the Shed has a capacity of 15-20 people at any one time. The youngest Shed members are in their 40s, and the oldest are in their early 90s, but most of the members are in their 60s and 70s. The majority of members come from the Willoughby area, but some travel from surrounding suburbs. The Men's Shed is open on Tuesdays, Wednesdays and Thursdays from 10:00am to 3:00pm. The Shed is also open on the first Monday of each month for a Special Projects and Maintenance Day, which includes a complementary sausage sizzle. Wednesday has been established as a "co-ed day" where women are invited to attend the Shed and work alongside the men. 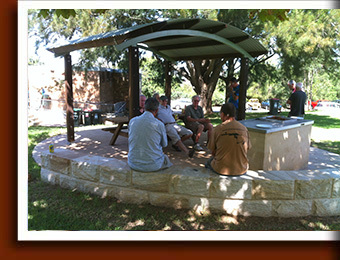 The Men's Shed is seen in a positive light by members of the general community. The men working in the Shed will often take on projects to help local community groups, providing the shed with a good rapport with the community. During 2017 over 4,600 volunteer hours were worked in the Shed. In dollar terms, this is the equivalent of a contribution of $225,000 to local economy. 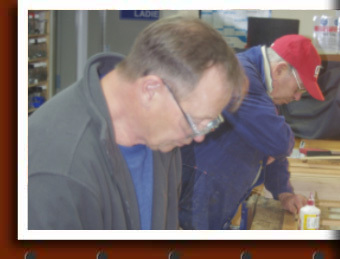 Download the Willoughby Community Men's Shed Inc. Brochure, read it and pass it on to a friend.